7 registered members (pau13z, jds303, Buffalosoldier, KenW, thecarbymaster, rayray, Bonnar_Bloke), 81 guests, and 63 spiders. Found 8" Sunbeam Wheels on BBQ. restored in 2016, for operational duty. Lancaster Highway (US Route 30), approximately 45 miles west of Philadelphia. The age of steam always captures the imagination of children, young and old. cut their grounds at this time with a steam lawnmower. 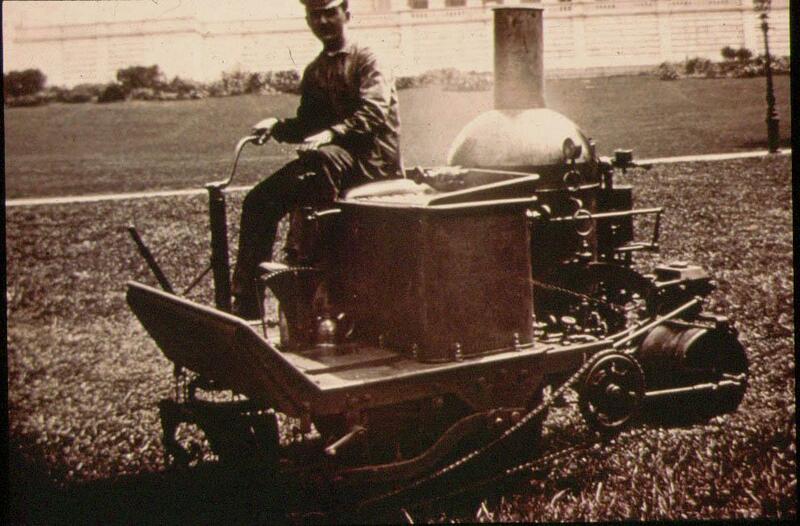 a foregone conclusion that steam power would be introduced to power lawnmowers. not to mention a human - or two humans. Newburg, New York, these were huge machines of 40 inch cutting width. 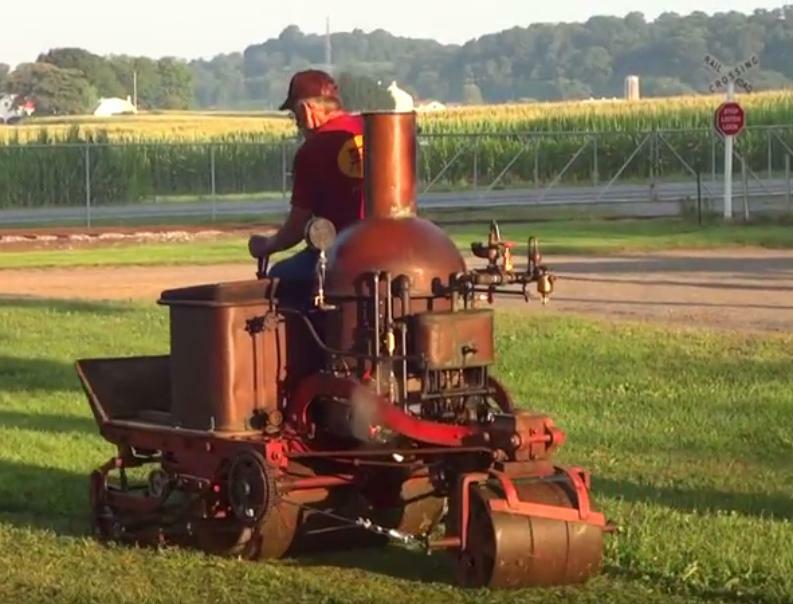 We are lucky that any steam-powered lawnmowers survive. We are doubly lucky to see an operational machine on video! 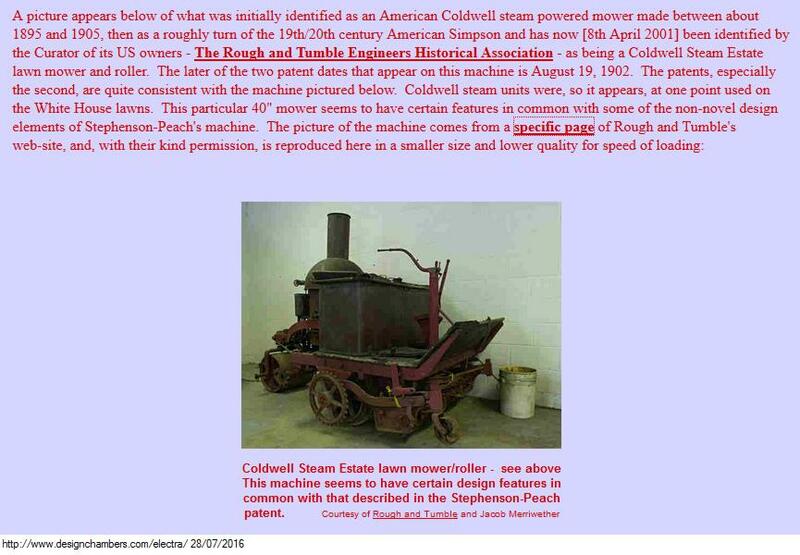 of a restored Coldwell steamer - it was that same machine! The R & T is an exceptional not-for-profit organisation that restored this lawnmower in 2016. Last edited by CyberJack; 21/08/17 03:29 PM. Reason: Updated video links. 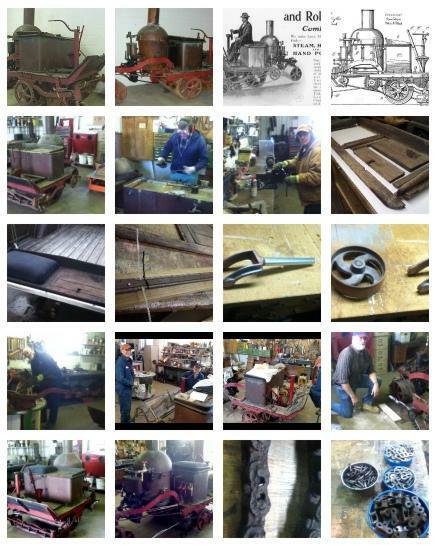 The Rough & Tumble Engineers Historical Association has an image gallery covering the Coldwell. Would you like to let off steam? Want to comment on this story? Simply create a new topic in the Old Soap Box HERE. Reel Lawn Mowers, Atco & Villiers etc. 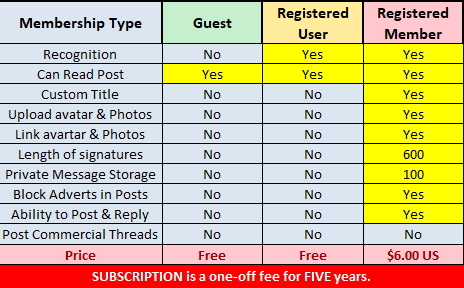 Collectors Events (including) Swap Meets.